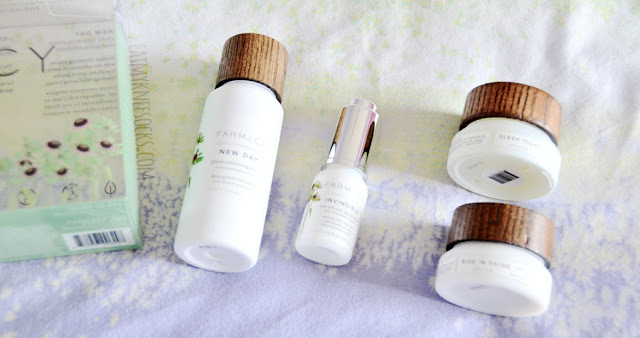 Farmacy is an NY-based company famous for their naturally-derived beauty and skincare products, which use farm-grown botanicals and unique, hand-picked extracts to give you healthy, radiant skin. They're well-known for their patented Echinacea GreenEnvy™ ingredient, which contains plant antioxidants to protect and replenish skin, plus they've promised to only deliver paraben-free, natural selections with no animal testing or artificial coloring. 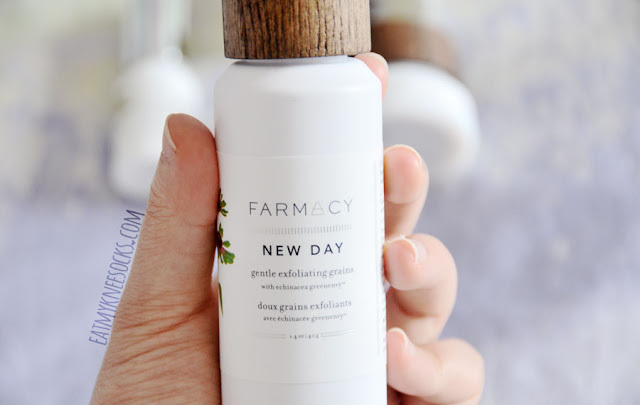 Previously, I've tested out two products from Farmacy, including a hydrating coconut face mask (reviewed here), and their New Day exfoliating grains (reviewed here). After having a wonderful experience with both products, I was delighted to try out their new skincare kit! The Perennial Picks Skincare Discovery Kit from Farmacy includes four Farmacy skincare products that work together as a simple, easy, and effective skincare routine. Everything comes in a beautifully-packaged box, with instructions for use included. This anti-aging serum delivers radiance and hydration while reducing the appearance of fine lines and wrinkles. Additionally, it helps even complexion and give you more luminous, glowing skin. It comes in a small 8 ml bottle, but a little goes a long way, and it's super easy to use. This firming night balm is cool, lightweight, and soothing, created to moisturize skin, restore elasticity, and smoothen fine lines or wrinkles. It contains Acmella plant extract, which works to stimulate collagen and restore firmness to skin, along with other naturally-derived ingredients such as blackcurrant seed and sunflower oil. It's meant for nightly use on clean skin; simply take a small amount, warm it up on your palms, and apply to skin with upward motions. 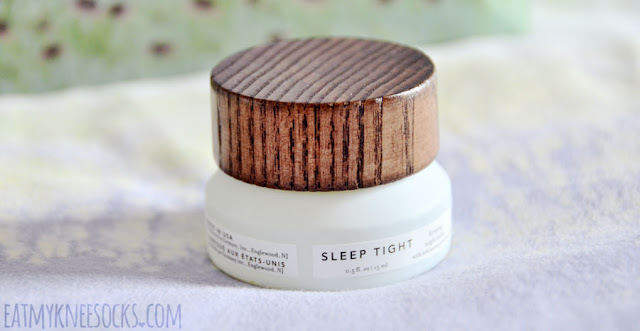 I really love this night treatment; it's a oil-gel-like product that really melts into your skin and leaves skin feeling incredibly soft and smooth. It's relaxing and calming to use, and really delivered a big impact on improving my skin! 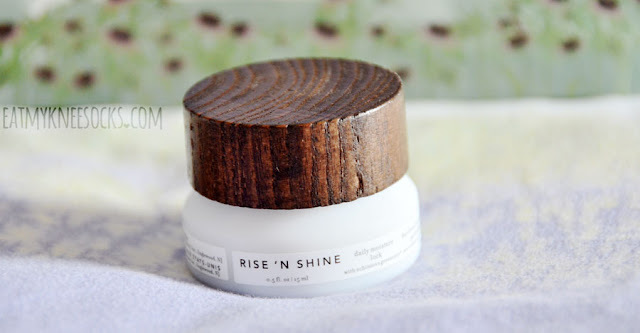 The Rise N' Shine day cream comes in a similar container as the night balm, and is used to lock in moisture as part of an everyday skincare routine. It's very light and smooth, and the effects are definitely noticeable! Innovatively crafted with water lily flower extract, it also helps reduce sensitivity and redness, and I love that it delivers powerful moisturization without being heavy or oily. The final product in the Farmacy Perennial Picks kit is their New Day cleansing grains, a product that I've previously tried out and had a great experience with. These gentle exfoliating grains are perfect for exfoliating and cleansing skin; just add a few drops of water until it forms a foaming paste, massage onto skin, and rinse off! It's suitable for those with sensitive skin, since it helps brighten and revitalize skin without being harsh or drying. 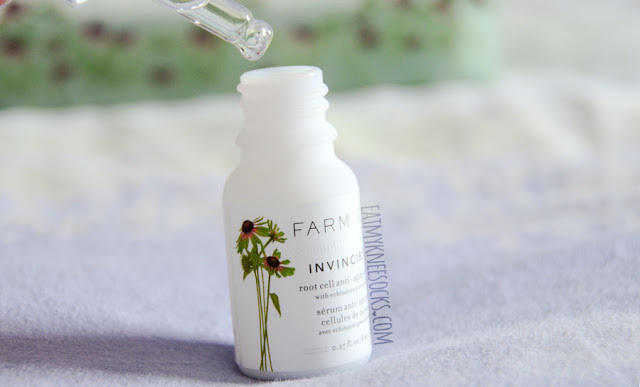 All four products in the Perennial Picks Skincare Discovery Kit from Farmacy are powered by their signature Echinacea GreenEnvy™ ingredient, and for $45, this kit is a wonderful way to test out their products as part of an all-inclusive skincare regimen! The New Day grains are perfect for cleansing and refreshing, the Rise N' Shine cream is a wonderfully light everyday moisturizer, the Sleep Tight balm is a soothingly effective night treatment, and the Invincible anti-aging serum, though not very suitable for me, is great for those who want younger, smoother, and firmer skin. 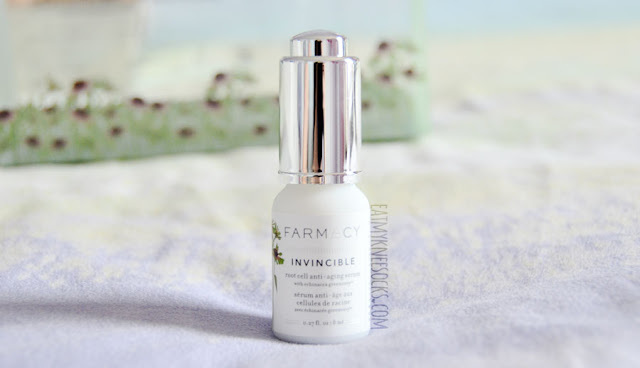 I've always hesitated to try new skincare products since I have rather sensitive skin, but with Farmacy, I've never had any issues with skin irritation, breakouts, or allergic reactions. Their formulations are effective, their branding is innovative, and, to top it off, their packaging is refreshingly simple and cute. I've had a great experience testing out their products, so I think it goes without saying that I'm a fan! 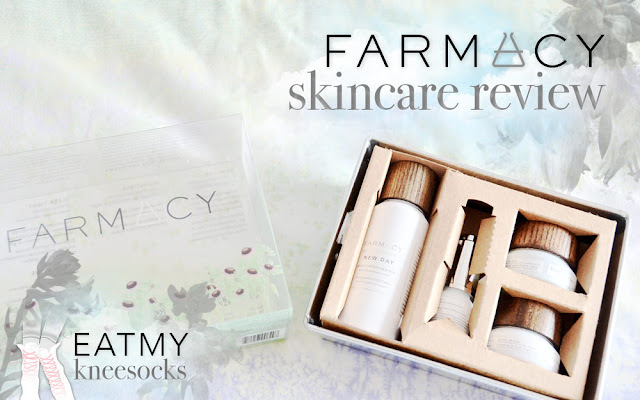 For more information on Farmacy and their whole range of skincare solutions, feel free to visit their site!